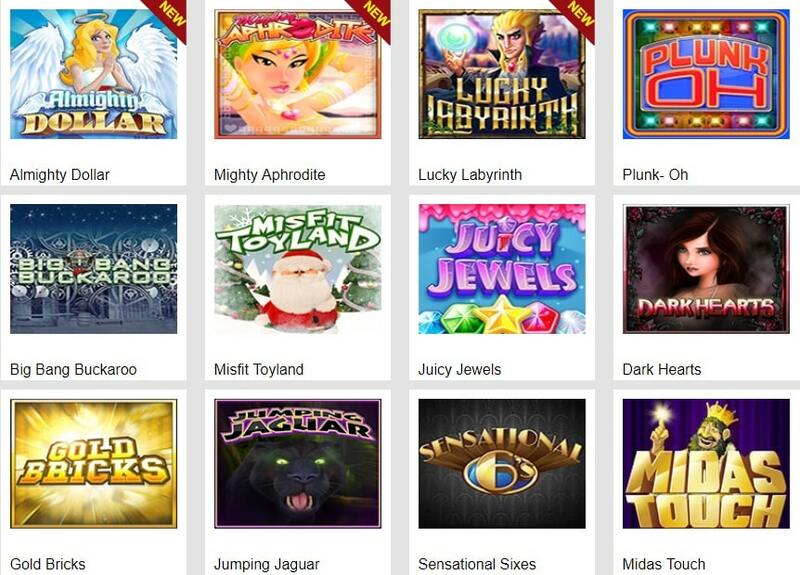 Slots Capital casino is an online casino that provides players with a multitude of slots and other games through a downloadable client and instant-play software. 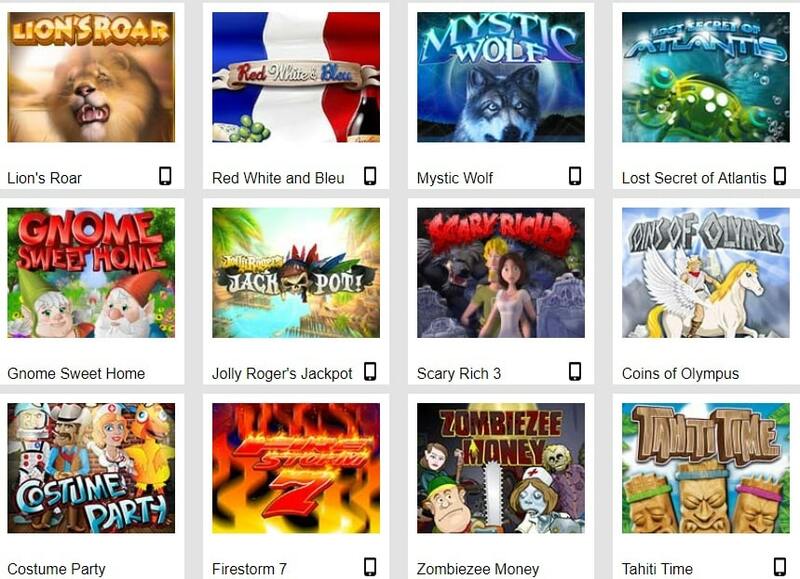 Slots Capital casino is an online casino that provides players with a multitude of slots and other games through a downloadable client and instant-play software. It is managed by the accredited Sloto’Cash group and powered by Rival Gaming. The casino is licensed by the jurisdiction of Curacao. 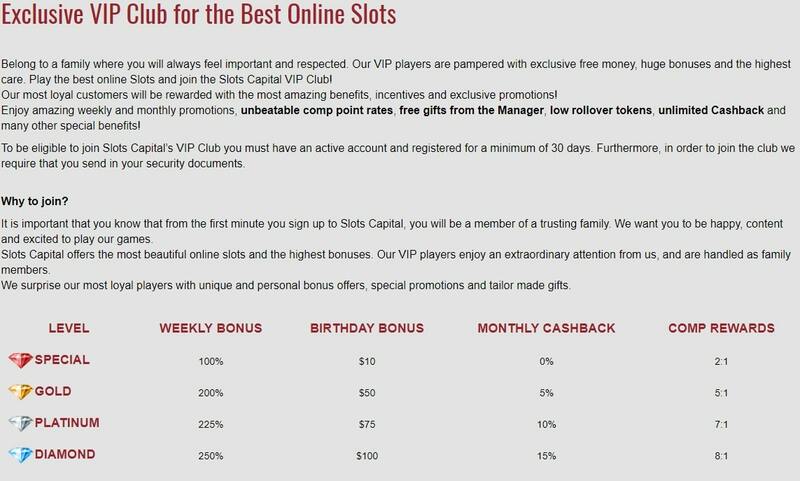 Slots Capital is a solid casino that offers players from regions such as the United States something a little different from what they usually get. If you can get over the shallow banking options you are treated to some awesome bonus options and great customer service. Slots Capital casino has a generous welcome offer that’s a free $7 no deposit bonus with a wagering requirement of 40x and a $,€ 200 max cash out. New players will enjoy a real money bonus of 277% on their first deposit of as little as $20. Players outside the United States or in Australia will also be treated to a 100% Double Slots Welcome Bonus, which can also add up to €2,777 in free casino money. This bonus is subject to a 27x-wagering requirement with no max cashout. Slots Capital Casino runs regular promotions including a special VIP Club with offers on new and exclusive bonuses, daily promotions, birthday bonuses, Weekend cashback and comp rewards. 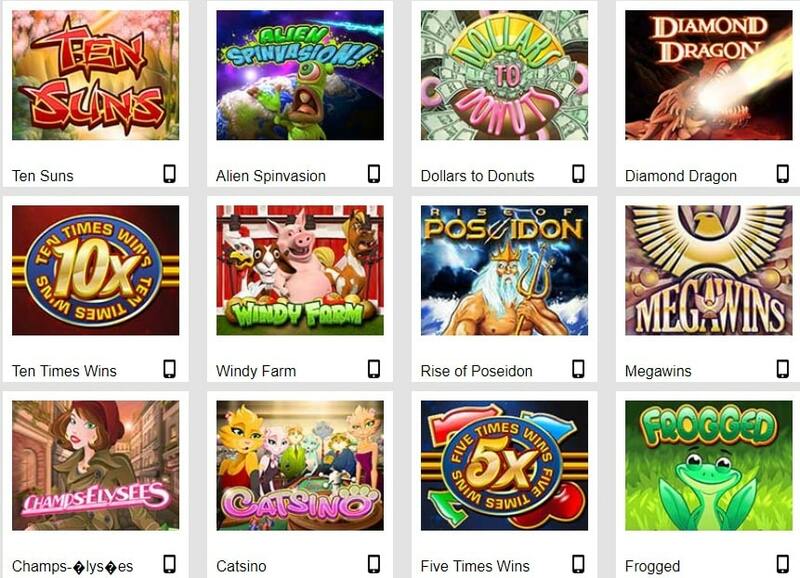 Any review of an online casino named Slots Capital is going to have to start with the one-armed bandits, and Slots Capital has droves of them for you to choose from. Powered by Rival Gaming, Slots Capital has nearly 100 slot machines on offer, ranging from simple 3-reel games to five-reel video slots with progressive jackpots. If you need help while playing at Slots Capital, the casino offers a dedicated support team to answer your questions. Use the 24/7 live chat service to get connected with a representative immediately. Alternatively, send the casino an email and expect a reply within 24 hours. Slots Capital also supports money transfers, though they request players talk to customer support representatives to find an option that works best for individual players based on where they are living. 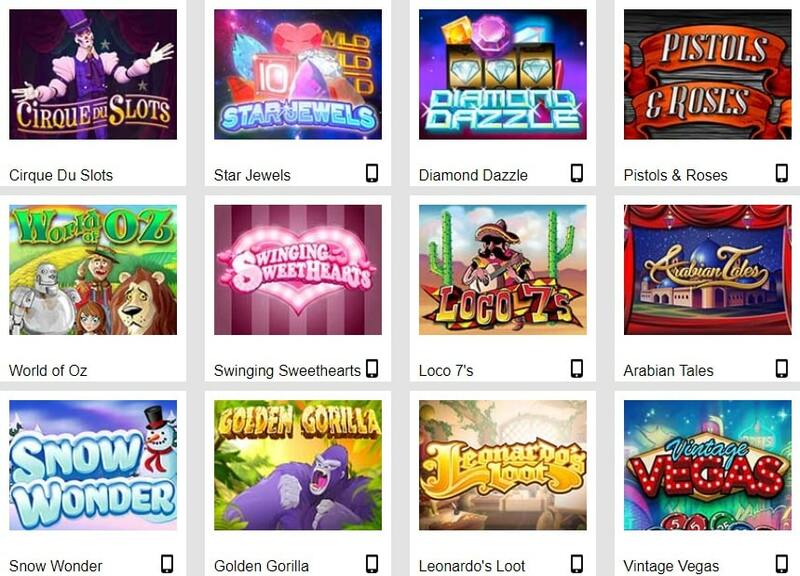 Overall, Slots Capital is a strong online casino choice, provided you’re mostly interested in playing slots. The game selection is definitely geared towards slots players, and the bonus offers are a bit restrictive if you play other games. That means that this is a strong yes for slots players, while those who want to focus on table games or some other area of the casino might find better options out there.